President Trump attacked Sen. Bob Corker (R-TN) in a Sunday morning Twitter tirade, alleging that the Tennessee Republican “begged” him for an endorsement, did not receive it and “didn’t have the guts” to run for reelection, the Washington Post reports. “The White House demanded that lawmakers harden the border against thousands of children fleeing violence in Central America before President Trump will agree to any deal with Democrats that allows the young undocumented immigrants known as Dreamers to stay in the United States legally,” the New York Times reports. “Erik Prince, the founder of the security contractor Blackwater, is seriously considering a Republican primary challenge for a Senate seat in Wyoming, potentially adding a high-profile contender to a fledgling drive to oust establishment lawmakers with insurgents in the mold of President Trump,” the New York Times reports. And idiot Bernie loving leftists fell for it. This is a premeditated stunt. Pence was in Vegas on Saturday, and was scheduled to be in California for a fundraiser for Putin’s favorite Congressman, Dana Rohrbacher, on Sunday night. So Trump, realizing that his polling number were horrific, needed to juice his base again, conspired with Pence to set up this little stunt. Trump ordered Pence to go to Indianapolis, where the Colts were playing the San Francisco 49ers, who have had multiple players kneeling every week since Colin Kaepernick started his protest last year. So it was guaranteed that someone or many would kneel. We taxpayers paid for this racist culture war stunt. Trump and Pence have not said anything about the white Nazis demonstrating again in Charlottesville. So white Nazis have rights, but black athletes do not. “Republican leaders on Capitol Hill are signaling that they want the Trump administration to write new regulations for a gun accessory that may have allowed the Las Vegas shooter to fire hundreds of rounds per minute,” The Hill reports. “Voter-suppression efforts and the disenfranchisement of former felons in many states further skew electoral outcomes, as does the power of money in politics. 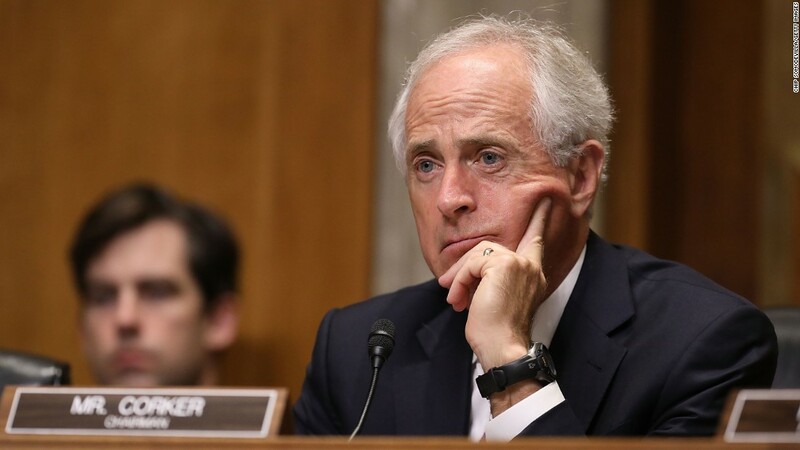 Eagerly awaiting Trump vs. Corker Round 2 , as ever Trump remains a one man blockade of the Republican’s evil plans. As for the senate expect Steve “I’m the king maker!” Bannon to get a negative reaction from the big money that owns the party as they never met a safe seat in the house or senate they didn’t love, Bannon’s plan borders on trouble making for self aggrandizement and little else. The Mercers or not expect him to be opposed at most levels of the party and outspent in any primary that actually happens. As for Pence next time try to be more obvious, if that is indeed possible. Finally the NRA finds a new love for regulation when it comes to bump stocks, perhaps because “Free the bump stocks” makes a poor rallying cry at best. Trump seems to think that a measure of his job efficacy is how much attention he generates. But people who do their jobs well (excluding performers and celebrities, whose job it is to attact attention) know that a sign of how well they are doing is that people DON’T notice or talk about them all the time, because that means everything is running smoothly in the background. I went for long stretches over the past 8 years thinking not at all about who was running the country or worrying about who said what to whom in the White House. Steve Scalise might be the stupidest man alive, not to mention the least grateful. He does, however, stand as proof that not even shooting these dumbasses will make them see reason on guns.